Today, we have author James Wharton featured on the blog’s ‘Indie Saturday‘. Real life is stranger than fiction. That’s the premise on which I work when I’m writing. 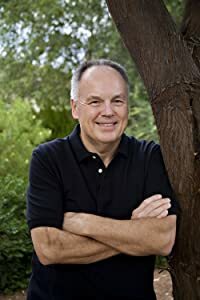 My name is James Wharton and I have written ten books in three entirely different genres. Historical fiction has brought the most success with recently published The Destiny Project topping the sales list with over three thousand e-books in the last two months. I write that with great humility because just one person buying one of my books is thrilling and gratifying. The Destiny Project was the result of an idea about the role of women in World War Two, specifically, the WASPs, Women Airforce Service Pilots. Their job was to fly bombers, fighter planes and every other kind of plane, ferrying them to different destinations around the country. Unlike today, these women weren’t in the military and couldn’t fly combat missions. But, what if unknown to everyone, they did fly secret, ultra-dangerous missions? Oh, did I mention there is a bit of time-travel involved? The Destiny Project II will be published in 2013. Detour is a second historical fiction novel which has also enjoyed substantial sales. Did I mention time travel is involved? The Jaguar Queen, the first book in the Arizona Sheriff Jimmy Harris series, was just published. It is an action story, a tale of passionate love and tells of otherworldly secrets. “The paths of an ancient Mayan queen, a sheriff haunted by a troubled past and a beautiful cartel boss intersect when the violence of the Mexican drug wars spills across the border into Staunton, Arizona. While Sheriff Jimmy Harris grapples with the murder of a United States Senator’s son, the violence spins out of control and a daughter he has never met is suddenly thrown in harm’s way. The second genre in which I write is humor. The Deluxe UFO Tour Company, (not sci-fi) is the first novel in The Empyrean Arizona series. The second, Invasion of the Moon Women, will be published in December this year (2012). Voyeurs, a brief humorous book (actually a long short story) is about the Russian Intelligence Agency and the man who runs it who also happens to be the world’s worst boss. That he drinks lots of vodka and steals his employees’ wives are the least of his faults. I have also published two humorous short story collections, Strange Breakfast and Other Humorous Morsels and Ghost Pets, the latter being quite insane. I have also published two short story collections dealing with ghosts. They are Ghosts of the Grand Canyon Country and Ghosts of Arizona’s Tonto National Forest. Most of these stories were inspired by actual events. My writing philosophy is first and foremost “follow the story.” The story and its characters will take the writer where they intend to go. As an example, when I first planned to write The Destiny Project, I thought it would be a natural to have the main characters be a man and a woman in love. But, that is not the way the story wrote itself. The story shouted out that two women should be the lead characters. While that seemed unusual and definitely out of the mainstream, I couldn’t write it any other way. The second part of my philosophy is to not release a book for publication until I am convinced that I did everything in my power to write the best book possible. Once a book is “out there,” an author is judged by it alone. If that book is the first exposure a reader has to an author’s writing, he will judge the author by the quality of that book. If the quality is good, hopefully that reader will read another of that author’s books. If the writing quality is bad…..well, you get the picture. Lastly, respect the reader’s time. The reader made a commitment to purchase a book. The least the author should provide is an enjoyable, fulfilling experience. When the reader finishes the book and can say, “I really liked that book,” the author has done his job. That is what I aim for with every book I write. It is also where I get the most gratification. I am flattered when a reader buys one of my books, but I am delighted when a reader tells me he or she really enjoyed one of my books. I got an e-mail from a reader just last night telling me how much he enjoyed The Destiny Project. Then he asked, “When may I expect a sequel?” That made my day! You can check out James Wharton’s Amazon Author’s page for more info! To learn more about James, follow James on his official website: JamesWharton.Net, Twitter: @jamesmwharton and Facebook: jameswharton. Drop by and say hi! Read an embedded sample from “The Destiny Project” after the jump! Meme: Musing Mondays (November 5) FREE Amazon $1.29 Credit for an MP3 Music Download!